Okay, so I woke up to my face feeling flushed. Not sure what that is about, but it is warm to the touch and it is flushed in areas I don't usually flush. Alright let me back up to last night. So last night I tried the nu-stock for the first time, scroll back a post and read my first thoughts on texture, smell etc.. So after I put it on I could tell it was working because I could feel the little buggers trying to make a run for it. 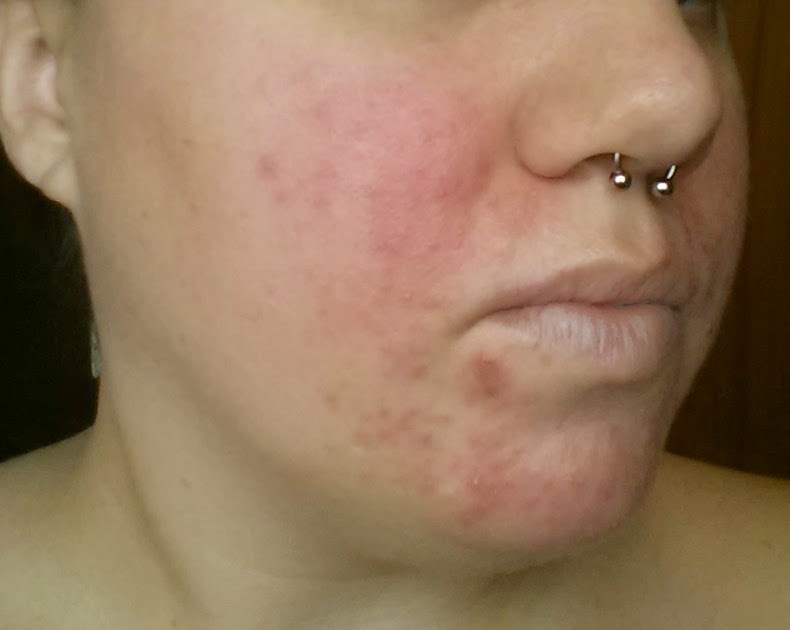 My face kept itching, but not in a I think I am breaking out in hives way, like the mites are dying way. Also I think this stuff gets into your bloodstream cause it was like I could taste is a little in the back of my throat. The itching did drive me a bit nuts and made it hard to sleep and actually I am a bit itchy right now. 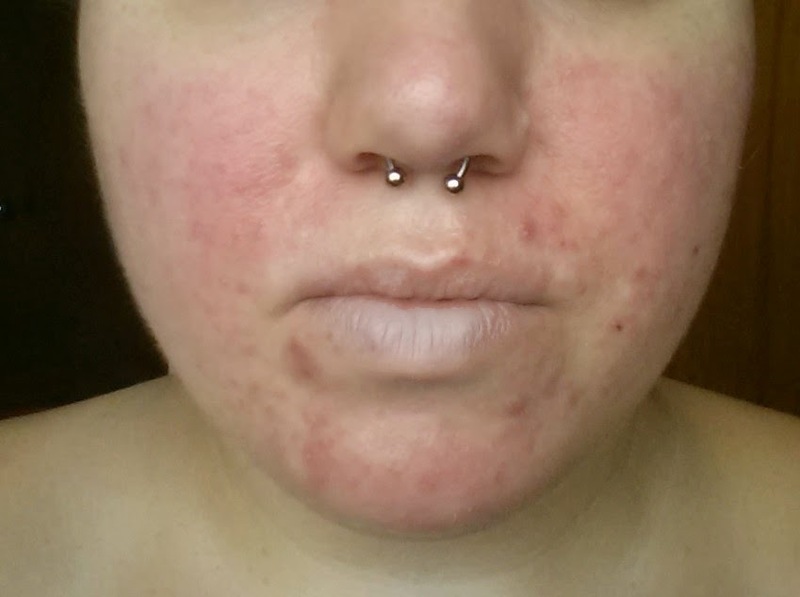 So when I woke up this morning I had about 20 tiny little pustules, and one bigger one. I think the bigger ones are maybe like little nest of them. You can't even see where the ones I had yesterday were, they come and go so quick. So that is a good and bad thing, it feels like a setback, but I think it's just the new ones hatching and being killed off, and it is following that timeline pretty well so I am just going to go with it and call it progress. 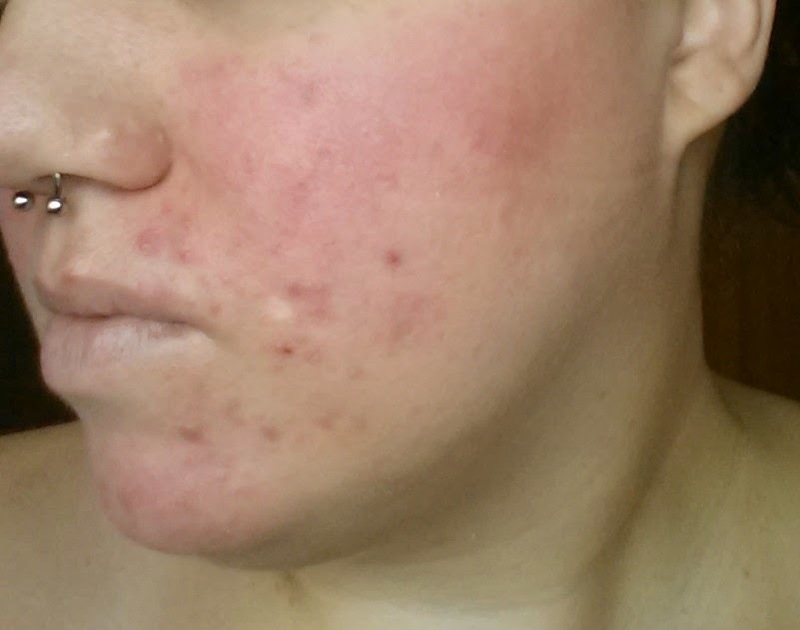 Its still mentally and emotionally hard to look in the mirror and see your face covered in tiny little bumps and flushing and think of it as progress when 2 days ago you were just slightly pink and had one bump. I am trying really hard to not let it get me down. So on the nu-stock bottle is says apply every 3 days, so I think I will use it every 3 days and use the tto in between. I don't want to over do it with the nu-stock. Okay picture time.